Carolina Thrift is collecting donations for our annual sale! We have set up donation bins at various housing locations on and off campus. All proceeds from our annual sale are used for our sustainability fund. Click here for more information about how to donate! 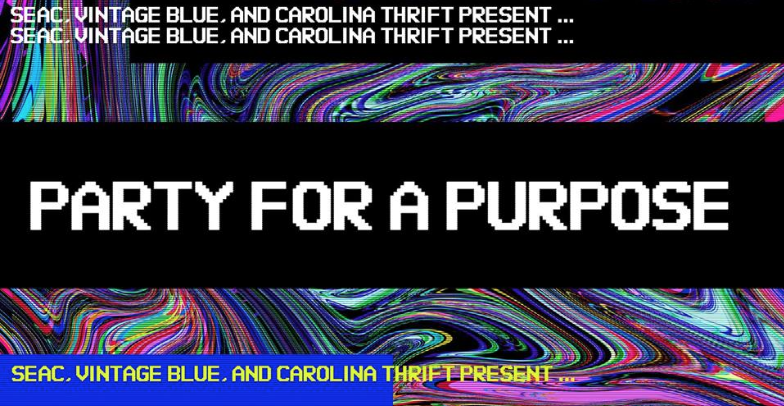 Party For A Purpose is a fundraising party on November 30th from 8:30pm - 11:00pm with the goal of raising money for Hurricane Florence relief and student-led sustainable initiatives at UNC! Click here for more info! Our Inaugural Sale was an amazing success! Carolina Thrift was able to make nearly $8,000 that will go towards funding and promoting sustainable ventures on UNC’s campus and community. Learn more about our origins, directors, and future goals. Carolina Thrift’s mission is to encourage socially responsible consumerism, provide the UNC-Chapel Hill area with financial relief, and build Carolina’s community.